It was the team finals of women's gymnastics in the 2012 Olympics, and McKayla Maroney was on top of her game. The sixteen-year-old U.S. gymnast was performing arguably the best vault of all time, launching herself unimaginably high into the air and sticking a flawless landing. When her score came, many were baffled: 16.233. Three tenths of a point stood between her and a perfect score. If that vault wasn't perfection, what was? For years, gymnastics was scored on a 10.0 scale. When this scoring system caused major judging controversies at the 2004 Olympics, international elite gymnastics made the switch to the open-ended scoring system it uses today, forever altering the sport in the process. Gymnastics insider Dvora Meyers examines the evolution of elite women's gymnastics over the last few decades. 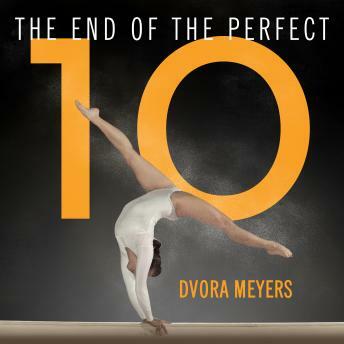 With insight, flair, and a boundless love for the sport, Meyers answers questions that gymnastics fans have been asking since the last perfect score was handed out over twenty years ago. She reveals why successful female gymnasts are older and more athletic than they have ever been before, how the United States became a gymnastics powerhouse, and what the future of gymnastics will hold.